Director of the Institute on Aging at the University of Wisconsin, Madison, speaks with science writer Karen A. Frenkel about well-being in the United States and Japan, and different attitudes towards aging. She also compares Western and Eastern types of intervention to promote well-being. Since 1995, Dr. Ryff and her Wisconsin team have been studying 7,000 individuals and examining factors that influence health and well-being from middle age through old age. The study is called MIDUS (Mid-Life in the U.S. National Study of Americans). Dr. Ryff is also involved in a parallel study in Japan known as MIDJA (Midlife in Japan). A reference list of works cited is included at end of the post. KAF: How did you get interested in well-being and aging? CR: My interest in formulating psychological well-being is traceable to my distant interest in existential, humanistic, and developmental psychology, particularly formulations about people struggling to deal with challenges they confronted in life, finding ways to manage them, if not learn from them, and deepen their sense of life meaning. KAF: Please describe what’s meant by well-being in our culture and in Japanese culture. CR: The topic of well-being has proliferated recently in our culture, so that there are many definitions. I’ll put forth one, but it’s certainly not the only one. 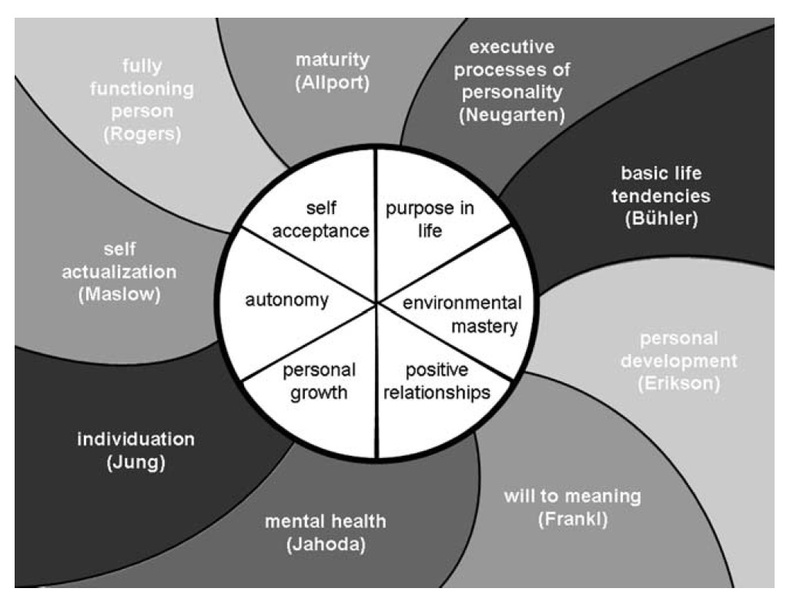 The model of psychological well-being I developed was based on the integration of theories from developmental, clinical, humanistic, and existential psychology. These components of well-being fall under a broad umbrella of eudaimonic well-being, which comes from a term used by Aristotle to describe the highest of all human good – “eudaimonia” used by him referred to the realization of one’s true potential. However, even the ancient Greeks had differing views about what might constitute the ultimate targets in living. Epicurus, for example, wrote about hedonia, which corresponds to the contemporary interest in happiness, positive affect, and feeling good. Those aspects of well-being also get a lot of attention in current scientific studies. Core dimensions of psychological well-being and their theoretical dimensions. With kind permission from Springer Science+Business Media: Journal of Happiness Studies, Know thyself and become what you are: A eudaimonic approach to psychological well-being, 9, 2006, p. 20, C. D. Ryff & B. H. Singer, Fig. 1. KAF: Do people from different cultures find eudaimonia/purposefulness differently? CR: Your question points to a growing area of scientific investigation – namely, how does well-being vary across cultural contexts? There’s growing evidence to suggest that it does vary. Some differences reflect themes of independence vs. interdependence that have been key ideas in formulating cultural psychology. Well-being in the West is formulated more in terms of the individual and how he or she may feel about how they’re doing in life. In the East, well-being is much more about the self embedded within social relationships; for example, how well you’re doing in meeting your obligations to others. Another difference between the U.S. and Japan pertains to how positive or negative affect are put together. In the U.S., our self-report tools with well-validated scales ask people to report on their levels of positive and negative affect in general, or in the last week or month. In the U.S. we find that the two types of affect tend to be inversely correlated. There are obviously exceptions for those suffering from depression and dealing with major life stressors. But the typical profile in the U.S. is for someone to report high levels of positive affect and low levels of negative affect. That is not true in Japan. Both tend to be more moderately reported. That is, there is no cultural prescription for feeling mostly positive emotion and not feeling much negative. If anything, there is socialization to feel both, as strands of a rope that are woven together. This is traceable to philosophy and religion perspectives that underlie cultural psychology in Japan and Asian cultures more generally. The basic idea is that embedded within every positive is a negative and vice versa. In such a cultural context, it is expected that individuals experience both kinds of affect. In addition, such feelings are construed as fleeting and not necessarily under one’s own control; instead, they are seen as inherently in flux. That’s very different than in the West where we see all kinds of prescriptive messages to be happy. Oodles of websites and popular books exemplify this pursuit of happiness, which is a big part of life in the West. KAF: In another paper on dialectical and non-dialectical emotional styles, you ask whether cultural differences can be observed across different kinds of emotional styles. You found that moderate dialectical emotional types had poor health in the U.S. and in Japan. How do you explain these findings? CR: The idea of dialectical emotions comes back to how positive and negative affect are put together in the U.S. compared to Japan. 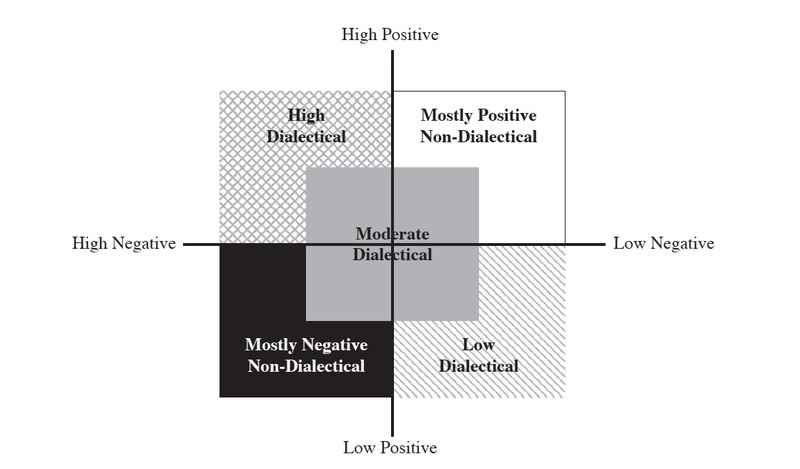 The idea of dialecticism is that there is a back and forth between positive and negative affect in Japan, so it’s common for people to experience both, to some degree. Emotion typology. From Cultural differences in the dialectical and non-dialectical emotional styles and their implications for health, Y. Miyamoto & C. D. Ryff, Cognition & Emotion, 25(1), 2011. Reprinted by permission of the publisher. In the U.S., when we look at how emotions are related to people’s health, we find that those with more positive and less negative affect report better health. This is true even when we look at more objective health criteria, like stress hormones, or other biological risk factors. When we looked at how positive and negative affect are put together in Japan, it raised interesting questions – what does affect mean for health in Japan and is it different from what we see in U.S.? In a culture where negative affect is not seen as something that you need to get rid of, or run from, does it imply different links to health outcomes? In the Myamoto and Ryff (2011) paper, we reported that dialectical emotion – which is this blend of positive a negative affect – was predictive of better health in Japan than in the U.S. We have since found that negative affect in the U.S. predicts worse self-reported health and worse biomarkers, such as measures of inflammation (interleukin-6, IL-6), a marker that is a precursor to various disease outcomes. That is not true in Japan. This is important because it is not just about subjective experience and how that relates to self-reported health; even for more objective indicators such an inflammatory markers, negative affect is not predictive in Japan. That’s very interesting because it says the U.S. formulation of emotions, including which are the best kinds to have and how they impact your health, is culturally specific – it does not generalize to Japan. KAF: Please highlight the most salient neural correlates of well-being. CR: Richard Davidson, of the University of Wisconsin, Madison, brings a neuroscience perspective to some of the research we’re doing in the MIDUS study. Some of Davidson’s research looks at neural correlates. Originally it was about negative affect. He found, based on EEG-based responses to laboratory stimuli that those prone to negative affect or depression show greater right prefrontal activation patterns. In contrast, those with more positive dispositional styles, defined in terms of high levels of psychological well-being, showed the opposite pattern, that is, greater left pre-frontal activation in response to laboratory stimuli. The findings were summarized in “Making a life worth living: Neural correlates of well-being” by Urry et al. (2004). Moreover, the strong signal between my measures of well-being and greater relative left prefrontal activation was evident, even after controlling for hedonic reports of well-being (positive affect). Such findings underscore the importance of distinguishing between different types of well-being. It is not the same as hedonic well-being. That’s what they found – that the signal with eudaimonic well-being was there even when adjusted for feeling good. KAF: Do you have information about neural correlates of well-being in Japan? CR: No. We hope such assessments might be added eventually, but do not have them as yet. Because Japanese adults are more likely to report some degree of both negative or positive affect, it would be interesting to examine whether the affective neuroscience data observed in U.S. samples extends to the east Asian context. KAF: In your most recent article “Cultural perspectives on aging and well-being: A comparison of Japan and the U.S.” you describe different attitudes towards life among the aged. Please summarize the East-West distinctions. CR: In the U.S., we’ve seen evidence that eudaimonic aspects of well-being look compromised in older compared to younger age groups, particularly with regard to existential things, like purpose in life and personal growth and feeling that you’re making the most of your talent. In Japan, a culture that is respectful of elders via traditions of filial piety, there are many ways in which the language itself and forms of interaction show honor for elders. We wondered if contrasted to our American culture, which reveres youth and in some ways construes getting old as a personal failing, might we find a different pattern of aging and well-being in Japan? We found that older people in Japan, unlike their U.S. counterparts, did not report lower levels of personal growth. This somewhat supported our idea that it may be easier to grow old in Japan than in the U.S.
On the other hand, we found lower scores on purpose in life for older people in both cultures. The fact that older people in both of these first world countries are living longer is a challenge. Japan, in fact, has the highest proportion of older people of any country in the world at present. That older people are reporting lower scores on purpose in life compared to younger age groups is a concern in both contexts. Both of our countries face serious challenges in figuring out how to best utilize the talents and capacities of our older populations. KAF: I’m surprised because I had the impression that they were better utilized in Japan. CR: There is some evidence of that with regard to personal growth, but keep in mind that for assessments on whether they feel their life has purpose, meaning, and direction, older persons in both cultures scored lower than middle-age people. The life of older people in Japan is changing, with fewer extended families living in the same households. Growing numbers of elderly persons in Japan live alone, which was not at all common in previous decades. Their family patterns are becoming westernized. KAF: You describe Western well-being therapy, and two Japanese psychotherapeutic techniques: Morita therapy, developed by Shoma Morita in the 1900s, and Naikan, which Yoshimoto Ishin developed in the 1950s. Please compare them here. CR: Using well-being therapy as developed by Fava in the West, the core objective is to get people out of the experience of negative emotion – whether it’s anxiety or depression. The way that well-being tries to do that is to get patients to focus on their experiences of well-being by keeping daily diaries of positive experience. It’s a kind of cognitive therapy that tries to help individuals understand how their thinking patterns may prematurely curtail their experiences of the positive, maybe because they think they don’t deserve it, or because it feels foreign. Morita therapy in Japan is remarkably different. It is designed to treat distressed or maladjusted people, but the focus is not on fixing emotions. In fact, they are viewed as beyond the person’s control. Emotions come and go and people do not control them. They may be positive or negative, and you can observe them, but it’s not worth your time to try to fix them. What you can fix is what you do. So the therapy tries to get people to shift into thinking not so much about how they feel, but what they are doing. The idea is to focus on daily behaviors, over which one can exercise control. That path is intended to help people function better while at the same time learn not to be done in by feeling bad about some things some of the time. The message there is that bad feelings happen. It’s not your job to eliminate them. It’s your job to focus on what you can do. That’s a dramatically different therapeutic model. Naikan therapy goes to the heart of this interdependent way of being in Japan because the therapy is built around your relationships with key others. Three questions are the focus: how you feel about your mother, which from psychodynamic perspectives is not new idea. But the question is first, what have you received from your mother? Second, what have you given to your mother? And third, what trouble, inconvenience, deceit, pettiness, have you caused your mother? You are never given the option to answer the question, how has your mother caused problems for you, which constitutes the focus of vast amounts of psychotherapy in the West. KAF: I was so fascinated by this because it is considered improper, or bad form, to dwell on how you might have been badly treated. CR: If the cultural prescription is to care about and do a good job of meeting obligations to other people, it requires that you recognize what these people have done for you, that you be appreciative of it and aware of ways in which you have fallen short in doing well by them. That kind of therapy seems unheard of in the West. Most people, no matter what kind of therapy they’re receiving, probably spend a lot of time going over how others have mistreated them. KAF: Is there no emphasis on that because that, too, is not in your control? CR: That could be an explanation. However, even the core questions of Naikon therapy are not so much about what feelings might have gone on between you and your mother. Instead, the focus is on what has your mother done for you and what have you done for your mother and what have you given to her? It’s more about actions. KAF: How does that relate back to the goal of promoting well-being? CR: All forms of therapy try to improve the human condition or experience, but they have different goals and ways of getting there. KAF: How can a deeper understanding of well-being benefit the planet? Why should lay people be interested in differences in American and Japanese well-being? CR: That’s a great question. It’s really the “so what?” question. What does it add up to? Do we have something more to say than that cultures differ? Clearly, they differ in terms of what well-being is, what mental maladjustment is, and how they treat it. But there is also the question of whether one form of well-being is better than another? Are some cultures doing a better job of answering these questions than others? How to grapple with these issues? One response is to look at what these different types of well-being in different parts of the world mean for peoples’ health as they age. That’s what we’re trying to do in MIDUS and MIDJA. We have only begun to look at the evidence, but it appears that different aspects of well-being matter for health in differ ways depending on the cultural context where people reside. Thus, inter-dependent aspects of well-being, social obligations and how well you’re managing the needs of others around you may matter more for health over the long-term in Japan than in the U.S. We don’t know, but’s that’s what we want to find out from the data. Another response to the “so what?” question, which intrigues me more, is to consider whether learning about our respective differences is a route to improving the human condition in some more fundamental way? This is asking whether it is beneficial to have knowledge of how well-being is construed in different cultural contexts. For example, in Japan there’s nothing wrong with feeling negative emotion; it’s not viewed as something amiss that possibly needs to be fixed in therapy. Such an insight might be useful for us to know in the West. Similarly, it might be useful for people in Japan to know something about how we function. We give the individual more leeway and encouragement to realize personal talents and capacities, and make the most of themselves; that it’s OK sometimes to choose for yourself some of the time rather than thinking only about others around you. This might be useful to consider in Japan. Embedded within these reflections is the idea that varieties of well-being around the world each are prone to their own forms of excess and inadequacy. However, until we look at well-being in multiple contexts, we may be blind to what these forms of excess are. The way to gain this understanding is to look at the experiences of, and ideals about, well-being around the world. It’s like looking in a mirror. We see ourselves and our own views about what it means to be well by looking in a different cultural mirror. Maybe that helps us we see that what we do isn’t always the best. Maybe it needs to be slightly shifted this way or that. That’s a bias I bring. I think learning about cultural differences enriches everybody. 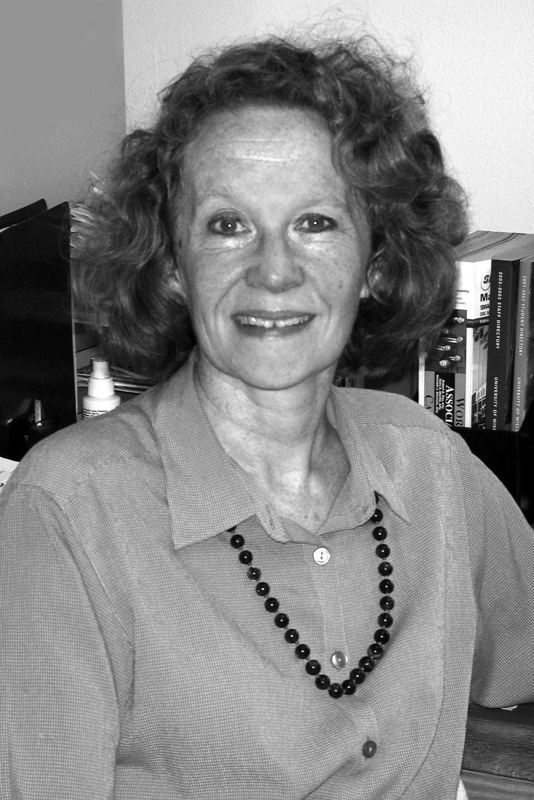 This entry was posted in challenges of interdisciplinary research, CMB2012, cultural neuroscience by Constance A. Cummings. Bookmark the permalink.